March 19, 2004 - Tophat. 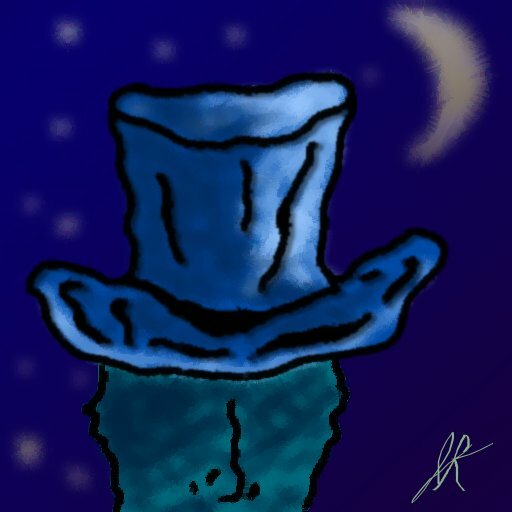 An oily tophat. There is also a man wearing it, who is not important. The moon isn't important either. This is a picture about a tophat. March 19, 2004 - SmallCircles Logo. This is a logo I made for the company "Small Circles". It's got a lot of wood going on. Too much wood, probably. Or not enough wood, maybe. It looks nice enough, but I doubt I'll ever be satisfied with the wood level. March 16, 2004 - LittleMan Logo. Designed for a group project for a University of Western Ontario software engineering course. The picture is based on a 5x5cm doodle on the group binder made by another group member. It's a marble engraving, and is very shiney. March 12, 2004 - the Fork of the Ontario Thames. My second image created by "cartoonifying" a photograph. This is a beutiful view of the downtown of my hometown London, Ontario from the Thames River. Making the sky smooth and the river reflective took a lot of work. March 10, 2004 - la Guerre de Ski. 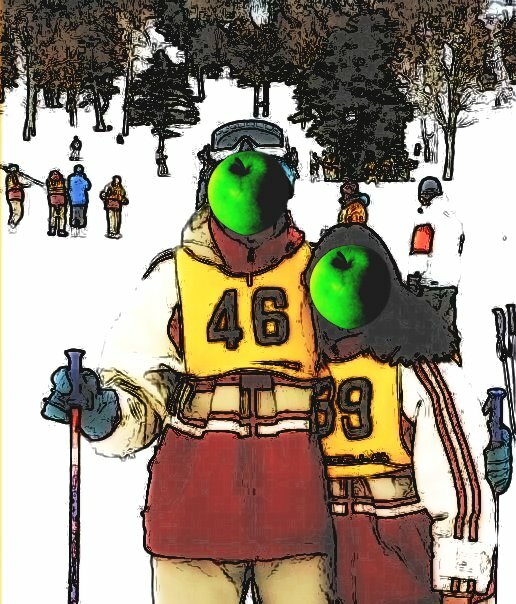 Ryan and Dina enjoying eachother's company on a ski trip. A sobel edge detect algorithm was applied to create the lines. A lot of equalization, normalization, curve adjustment, masking, etc. was applied to make it look good. Ryan and Dina weren't happy with how their faces looked, so I took some artistic license. 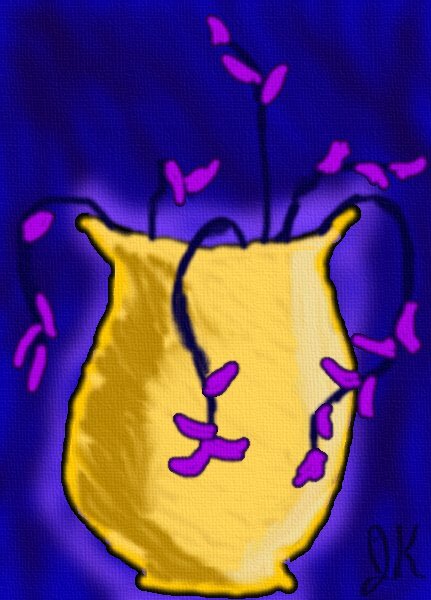 February, 2004 - Still Life: Vase without Perspective. I made this after reading a van Gogh artbook in the dentist's waiting room. Drawn almost exclusively with the paintbrush tool, with large amounts of Gaussian blur used to make the background. February, 2004 -Buddy B. Bellhop. 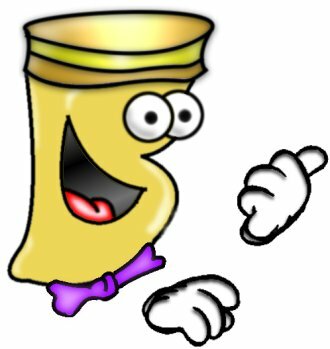 Buddy is the product of a bizarre combination of symbolism. Buddy is a bellhop. Buddy is a B. Buddy is your buddy. But most of all, Buddy is the HotelBuddy mascot. HotelBuddy was a software suite designed during my undergraduate software engineering program. January, 2004 - PortalMonkey Monkey. This monkey was designed as the new mascot for PortalMonkey.com . His colour scheme matches the PortalMonkey web page. Hey says "ook ook". 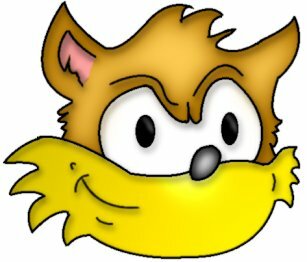 January, 2004 - Flying Fox. 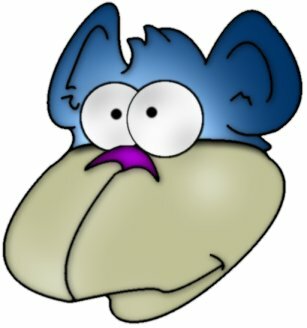 This cartoon was my first character created entirely myself, and entirely from within the gimp. While the character is inspired from existing cartoons, the work is entirely the product of my imagination. Step-by-step instructions on the Fox's creation are available here. 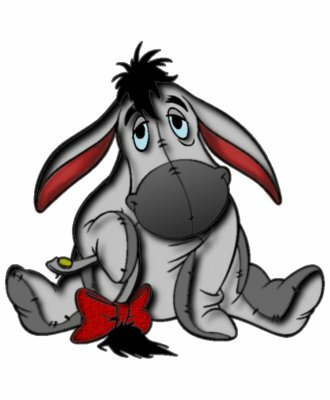 December, 2003 - Coloured Eeyore. This is my first piece of work in the gIMP. Made with simple gradient fills, burns, and drop shadows. Original image and character is copyright Disney.